Critically-acclaimed rock band The Doobie Brothers - known for their harmony-laden, guitar-driven rock and roll set - announced today 13 additional headline tour dates for 2018. The Live Nation promoted shows kick off October 9 in Milwaukee, Wisconsin, and run through November 13 in Stamford, Connecticut. 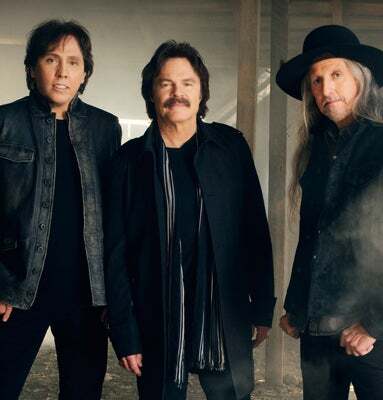 The Doobie Brothers will play White Oak Amphitheatre at the Greensboro Coliseum Complex on October 16. Tickets go on sale Friday, July 27 at LiveNation.com, via the Live Nation app, Ticketmaster, or by phone 800-745-3000. The announcement follows the news that The Doobie Brothers will be playing two historic full-album shows in New York City at The Beacon Theatre, November 15 and 16, 2018. These shows are the first time The Doobie Brothers have performed at the Beacon Theatre in 25 years. For more information on The Doobie Brothers, visit the band's at TheDoobieBrothers.com. To purchase tickets go to livenation.com.